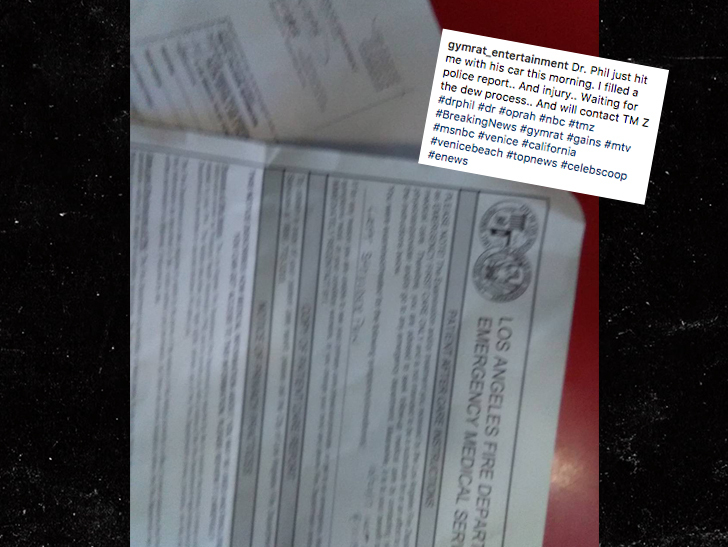 10:39 AM PT -- A rep for Dr. Phil tells TMZ ... the doc spoke with the man who was hit at the time of the accident and was assured he was fine. They add ... if LAPD has any more questions, Dr. Phil will gladly speak with them ... as he believes he was operating well within the law. 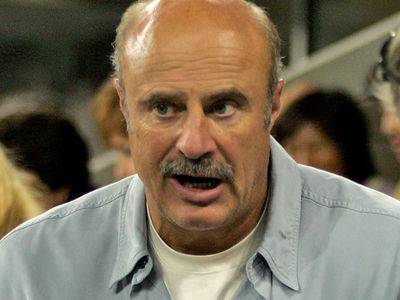 The skateboarder Dr. Phil hit Friday is pulling out all the stops ... going after Phil and threatening a lawsuit. TMZ broke the story ... Phil was coming out of a Universal City parking lot Friday when he impatiently attempted to pass a van, striking the 20 something skateboarder. Cops say Phil stopped, the guy told him he was fine, they shook hands and the Doc left. The skateboarder, Terrence Bembury, is now aggressively going after Phil. He posted, "he never got out of the car, checked too see if I was injured, didn't even ask for my name." Cops dispute that and say Bembury told them he told Phil he was fine, and only later said he wasn't. Bembury also says, "cops told me he needed to stay until cops came." Police tell us that's not true, because after the skateboarder said he was fine and there was no damage or injury, Phil was free to leave. 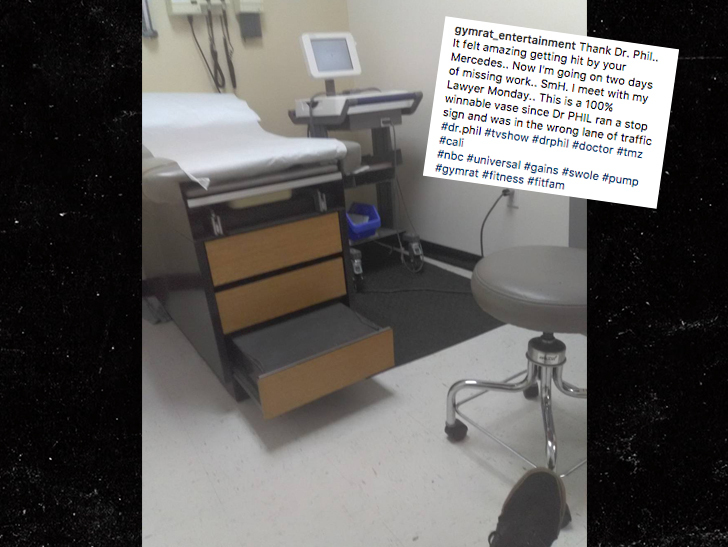 Bembury posted a pic of a hospital room, saying, "Thank Dr. Phil ... It felt amazing getting hit by your Mercedes ... Now I'm going on two days of missing work ... Smh. I meet with my Lawyer Monday." And he goes on ... "This is a 100% winnable vase (sic) since Dr. PHIL ran a stop sign and was in the wrong lane of traffic." He's right on one count ... cops reviewed surveillance video and say Phil was in the wrong. Now Bembury needs to prove he was injured and out money.